"Fair Winds and Following Seas"
If you know of a member (or spouse) that should be on this list, please contact the CGTA President with your information. 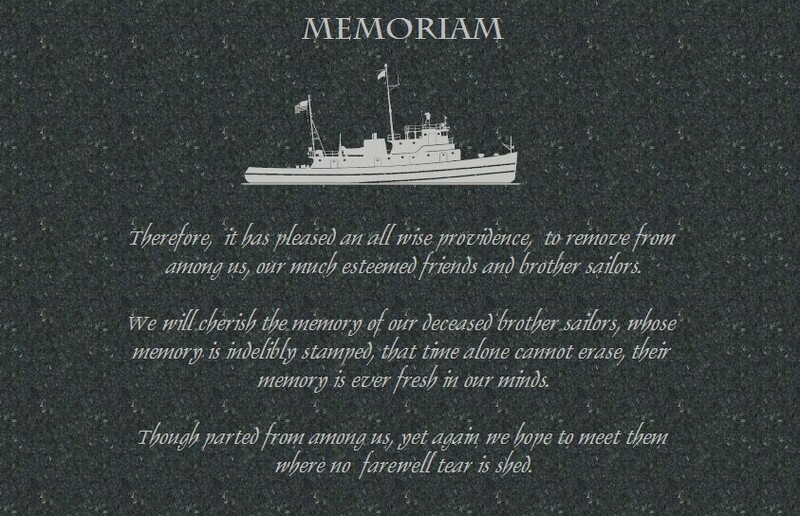 Please include full name, rank/rate, retired?, tug(s) served in, and date of passing. This list is based on reports from our members and official USCG publications. Any errors will be corrected.